The Breakers Hotel opened for its second summer season under the management of Forrest Smith. An article in the Wilmington News Dispatch dated June 5, 1925, stated that he planned for the hotel to remain open all winter that year. It is not known if the Breakers did stay open year round, but we do know that the golf course, tennis courts, Great Atlantic Pier, two smaller piers and other plans did not materialize. Most likely a lack of capital was the reason and the Great Depression of 1929 was certainly a factor. 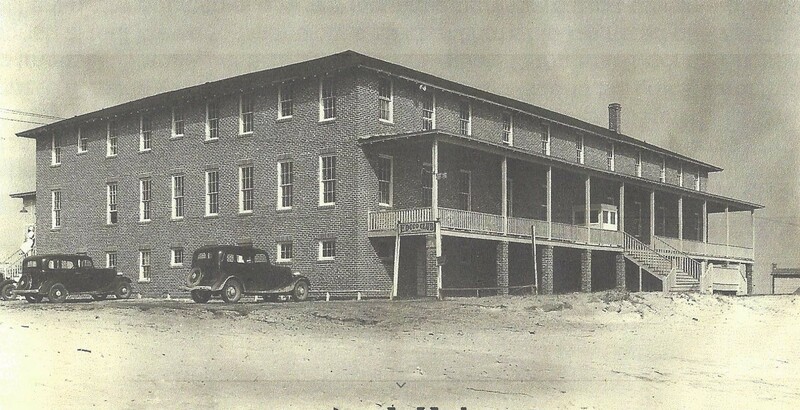 The economy at Federal Point beaches experienced an upturn in 1931 when the Dow Chemical Company bought a 310 acre tract in Wilmington Beach. They planned to build a pilot plant for extracting bromine from sea water on the mile wide tract of land. It stretched across Federal Point from the Cape Fear River to the Atlantic Ocean for a mile just south of the Breakers Hotel. By 1933 Dow Chemical and Ethyl Gasoline Company formed the Ethyl Dow Corporation. In August of that year, Ethyl Dow announced that they were building a $3 million permanent facility that would employ over 350 workers. The Breakers Hotel, then owned by Mainland Beach Corporation, was leased for one year as a private hotel for upper management, superintendents, foremen, and technicians. It was redecorated and refurnished for the Ethyl Dow employees. John S. Divine was the manager of the Breakers during the lease period. He was formerly the manager of the Seashore Hotel at Wrightsville Beach and the Orton Hotel in Wilmington. Breakers Hotel as it appeared when Ethyl Dow leased it 1933-1934, the sign near the end of the second floor porch says “EDCCO Club”. Photo from FPHPS’ Collection. 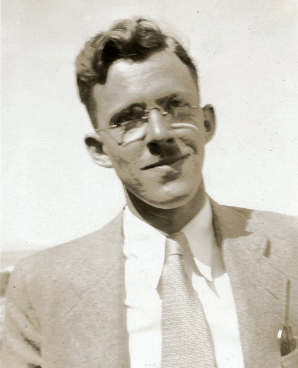 Monroe Shigley was a Harvard graduate with a degree in engineering. He went to work for Dow Chemical in 1930 and retired in 1970 after a 40 year career. He worked at their plants in Michigan, North Carolina and Texas. He and his wife, Mary Graham Shigley from Wilmington, spent their retirement years at the family apple and cherry orchard in Freemont, Michigan and later lived in Yakima and Tacoma, Washington. He died in 1999 and she in 2008; they are buried in Evergreen Cemetery in Lansing, Michigan. The Shigley interview was submitted by Howard Hewett in September of 2014 along with other documents and photographs and is part of FPHPS archive on Ethyl Dow. It can be accessed here on our website.